Apple and Qualcomm have settled their patent and royalty disputes, paving the way for the latter’s 5G modems to be installed on the former’s smartphones in the year 2020 and beyond. Intel, which staked its hopes on swooping up a meaty iPhone modem contract, has folded upon itself, announcing that it is ending development of its 5G modems for smartphones. The company stated that it will fulfill existing 4G smartphone modem contracts, but won’t pursue new ones pending a business assessment on 4G and 5G modems for PCs, internet of things products, and other devices. 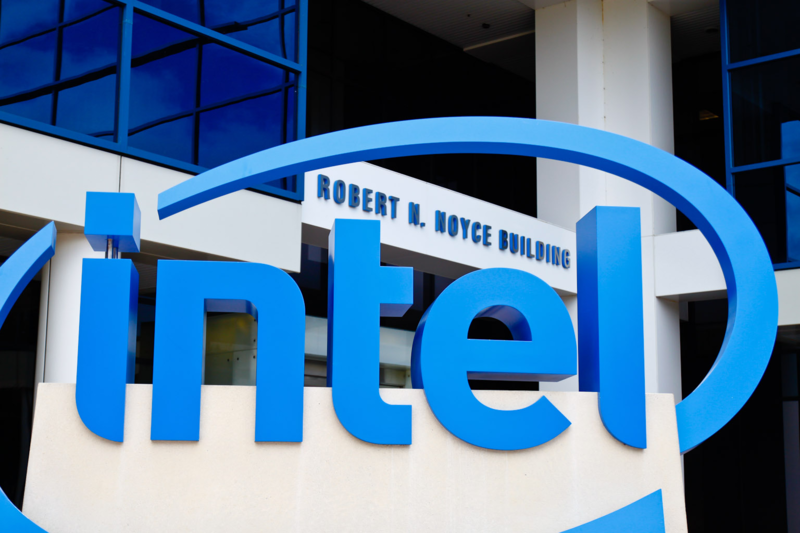 Intel will continue to focus on 5G network infrastructure. The Apple-Qualcomm conflict has been developing for over 3 years based on claims against the chipmaker, for overcharging for its patent licenses, and the iPhone maker, for not paying due royalties. One of the effects this had was that Intel was invited to provide cellular modems for a portion of the 2016 and 2017 iPhone models before it became the exclusive supplier for the 2018 generation. With market analysts speculating that Apple would release a 5G iPhone in 2020 and a years-long trial with Qualcomm about to go underway, Intel was viewed as a leading contender in a potential field of candidates, though its 4G technologies were tested to be inferior to Qualcomm’s solutions and its 5G demonstrations weren’t doing much better. Today’s settlement leaves Intel in rough waters. It is expected that Apple will also ditch the Core processor series for its Macs and replace those chips with its own design. AMD’s recent competitive surge is also putting pressure on Intel’s bottom line — Sony announced today it chose a Ryzen chipset to power its PlayStation 5. Shares of INTC ended up 0.76% in Tuesday’s main trading despite a dip as Apple and Qualcomm made headlines. Shortly after issuing its exit announcement, Intel stock surged 4% towards the end of the after-hours session. The full press release is available below. Forward-Looking Statements Statements in this press release that refer to future plans and expectations are forward-looking statements that involve a number of risks and uncertainties. Words such as “anticipates,” “expects,” “intends,” “goals,” “plans,” “believes,” “seeks,” “estimates,” “continues,” “may,” “will,” “would,” “should,” “could,” and variations of such words and similar expressions are intended to identify such forward-looking statements. Statements that refer to or are based on estimates, forecasts, projections, uncertain events or assumptions, including statements relating to anticipated trends in our businesses or the markets relevant to them, also identify forward-looking statements. All forward-looking statements included in this release are based on management’s expectations as of the date of this release and, except as required by law, Intel disclaims any obligation to update these forward-looking statements to reflect future events or circumstances. Forward-looking statements involve many risks and uncertainties that could cause actual results to differ materially from those expressed or implied in such statements. Important factors that could cause actual results to differ materially from the company’s expectations are set forth in Intel’s earnings release dated January 24, 2019, which is included as an exhibit to Intel’s Form 8-K furnished to the SEC on such date. 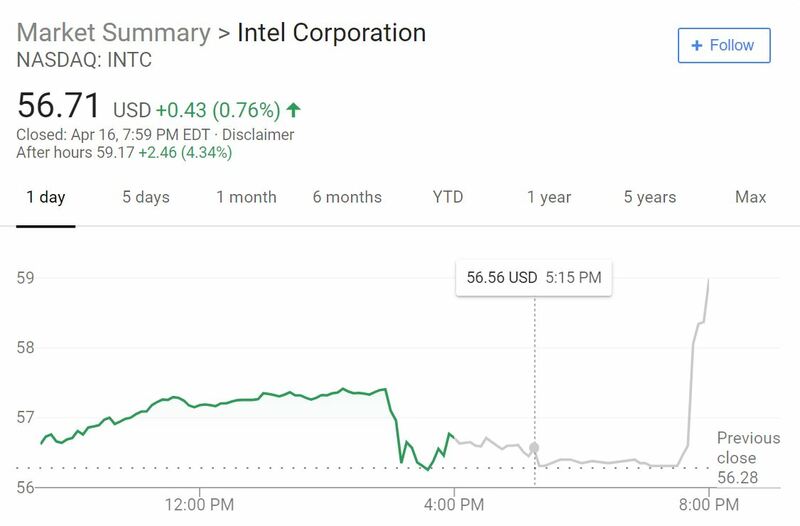 Additional information regarding these and other factors that could affect Intel’s results is included in Intel’s SEC filings, including the company’s most recent reports on Forms 10-K and 10-Q. Copies of Intel’s Form 10-K, 10-Q and 8-K reports may be obtained by visiting our Investor Relations website at www.intc.com or the SEC’s website at www.sec.gov.